What’s in your investment portfolio? Are you investing for the future? How about your investments for eternity? 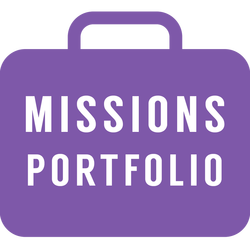 This November, Newsong LA will introduce the Mission Advancement Portfolio for your consideration. The Portfolio will feature a variety of ministries that are doing Evangelism, Justice, Advocacy, or Compassion. Throughout the month of November, we will highlight various ministries and provide opportunities for investing time, talent and treasure in God’s Kingdom. Barnabas Robotics is a Christ-centered education company whose mission is to encourage others and to build community through robotics. It was established in May of 2014 as a response to God’s call for us to live out the Gospel through education and technology. We provide instructional services to youth (K-12), as well as educational products and curriculum. We are registered as a for-profit company to be a “salt and light” in the marketplace. Our corporate profit is used to provide subsidized educational programs in underserved communities. Mentors and Instructors: In January of 2016, we will be starting a 16-week outreach robotics course at a South LA middle school. We are in need of volunteer technical mentors and instructors. Engineers and Educators: Our products and curriculum are open-source - meaning that others can use our designs in whatever way that would benefit them - even to start their own businesses. We are looking for engineers and educators who want to bless others by joining our community of developers. 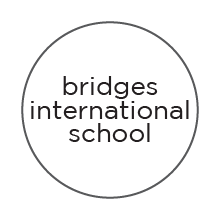 Bridges International School (BIS) was established as a Co-Op in September 2014, primarily to meet the educational needs of the missionary kids (MKs) in XA, CH. We currently have 14 MKs spanning from grades 1 through 5, as well as 2 junior high and high school students in the independent study program. Our students represent the nations of Ethiopia, South Africa, Korea, and America. We believe that God has been calling many nations to XA to accomplish His purpose, which we see from a growing number of MKs from nations other than the U.S. or Europe — like South America, South Asia, and the African Continent. It has been great to see all nations gathering here to worship and serve Him! 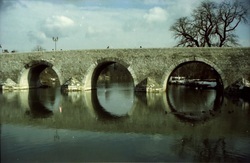 In XA, schooling options for most MKs are limited to homeschooling because international schools are unaffordable, and most local schools do not accept foreigners. Homeschooling has its merits, but it is challenging for most families, especially for those from non-English speaking countries where no homeschooling curriculum is available. Our vision is to provide first-class education to these MKs, equipping them to be the next generation of leaders who serve and transform our global community for His glory. 7 of the 8 students who received financial aid from BIS are from economically less developed nations. Consequently most of these students cannot afford the difference between the annual MK tuition rate and the financial aid amount, or about $2,000. This year we have accepted these students regardless, but this entails a budget shortfall of about $14,000. If groups can commit to sponsor 1 to 7 children ($2,000 each), this would help BIS be sustainable this year. 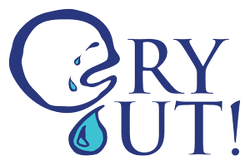 CryOut! is a 501(c)3 non profit organization that uses music, dance, arts and workshops to empower the youth, developing them to be leaders who pursue justice for themselves and others oppressed in their communities. Our vision is to see youth live in their God given freedom, seek justice for the oppressed, and be ready for adulthood and its challenges. ​Hispanic/Latino college students are the fastest growing population on college campuses throughout the US. This year’s freshman class at UCLA is 26% Hispanic; some CSU campuses have Latinos as the largest student population. However, there is very little opportunity for these students to come to know Christ within their university setting. 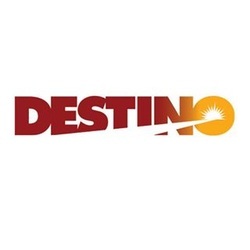 Through our ministry called Destino we want to introduce Latino students to Christ, build them in their faith and send them out to reach others for Christ. We do this through on-campus outreaches, Bible studies, retreats, one-to-one mentorship, and missions trips. We work on a team focusing our efforts at UCLA and USC. These schools produce the top Latino leaders in the country. We are passionate about helping send Latinos to reach Muslims in North Africa through summer missions. Many missions experts believe that Latinos hold the key to the fulfillment of the Great Commission as they easily cross into the Muslim world and minister very effectively there. We have seen that first hand as we go with teams to North Africa and train students and staff in reaching Muslims. We have outgrown our current after-care facilities and have been looking for a new location for about 18 months. The project for the acquisition/purchase of new facilities is currently projected at $500,000USD. Another funding need would be for individuals or groups to sponsor our girls, $800/month covers their housing, food, education, medical attention and psychological services. Despite their small numbers, professors hold a disproportionate amount of influence around the world. “The leaders of your world come from my world. We will determine what your children learn in school, what comes over the TV screen. I don’t think I can overestimate the impact we have on your world.” Prof. Marc Schiler, USC Architecture. We affirm and encourage Christian professors as they reach the world through their students, colleagues, and academics. We meet with professors in the Greater Los Angeles area, finding out what concerns them, and how God is showing up in their experience. We listen carefully, pray for them, sometimes make suggestions, and organize an annual conference, where they can meet and encourage one another. These conferences are an opportunity for them to become better equipped with ideas from their peers on how to appropriately influence their world for Christ. On average, it costs us $100/week to drive to the campuses that we visit (we are authorized to reimburse $0.51/mile for fuel, repairs, and depreciation). To do a good job on our annual conference, we need to raise $3000, for speakers, their lodging, mileage, and administrative costs. "The Street Church" or "The Church Without Walls", is what many have come to call us. THE ROW is a church, quite literally, without walls. We have no building. For us, this is a constant reminder that a building does not make God's church... people do. We meet worship, praise, feed, and fellowship every Friday night in downtown Los Angeles, on the streets of Skid Row - America's Homeless Capital. Our goal for the last 7+ years has been to serve those in need; feeding people both spiritually & physically. If you're interested in hearing the Word of God, receiving a hot meal, or are just curious to see how God is moving where you may have least expected it, THE ROW readily welcomes everyone! 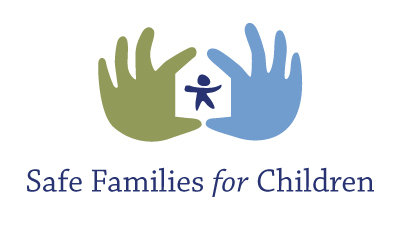 Safe Families for Children provides loving homes where parents can safely and voluntarily place their children in times of need. When crisis strikes, many of us rely on relatives and our church family for support. However, for some parents there isn't a safety net. Often, problems such as drug addiction, domestic abuse, incarceration, or illness can be debilitating, making it impossible for parents to care for their children. With the changing economy many more families are experiencing financial crisis, unemployment, and homelessness. During such crisis, children are especially at-risk for neglect or abuse as their parents struggle to cope with crushing circumstances and emotions. State welfare emergency hotlines throughout the nation reportedly receive over 5 million calls each year of suspected child abuse or neglect. Of those calls, about one million meet the criteria for state intervention. What happens to the remaining four million families that don't qualify for help? Overburdened by need and restrained by resources, law and policy most state welfare agencies are allowed to rescue only children who have suffered blatant abuse or neglect. The state is ill-equipped to deal with a problem of this magnitude. Without assistance, many of these families will find the issues in their homes escalating to episodes of abuse and/or neglect with long lasting consequences for not only the child, but also for our communities as well. ​Since 2005, Safe Families for Children has, with the incredible support of the church, offered sanctuary to thousands of children, minimizing the risk for abuse or neglect and giving parents the time and tools they need to help their families thrive. Thus keeping kids out of the foster system. The ultimate goal is to strengthen and support these parents so they can become Safe Families for their own children. If you are interested in joining our Safe Families team here at Newsong LA there are two ways to get involved. You can become a family friend. For more information about how you can get involved please contact Janee at negerard@gmail.com. World Vision is a Christian humanitarian not-for-profit organization dedicated to working with children, families, and their communities worldwide to reach their full potential by tackling the causes of poverty and injustice. Team Newsong LA is again joining with World Vision and our church community to help make a difference in our world. Through our efforts of raising awareness and money, we aim to challenge the Newsong LA congregation to help us make this difference become a reality. Making a difference changes lives by providing clean water to children in the Congo. This clean water can eliminate childhood mortality, reduce water-borne illness and also reduces human trafficking among Africa’s youth. It provides them the opportunity to return to grade school and learn, instead of trekking many miles to find dirty water. You can help with your donations, volunteering your time, encouraging our team or simply by joining our Team Newsong walking/running 2016 event to cross the finish line, knowing you have made a difference “one child at a time”. A single $50 donation brings life-giving clean water to villages, reduces childhood mortality and can put an end to human trafficking due to their children having to search for dirty water. A $50 difference can change one child’s life forever.